Michael Joseph Lightner, 91, of Catawba Island and formerly Fremont, OH passed away on Tuesday, September 18, 2018 at home under Hospice Care. He was born July 21, 1927 in Fairport, OH to Mike and Ann (Nagy) Lightner. Mike served in the U.S. Navy Sea Bees during WWII where he served in the South Pacific, Guam and Siapan. He was awarded the WWII Victory Medal and the Asiatic-Pacific Area Ribbon. Mike was a former owner of Greenlawn Memory Gardens, Seneca Memory Gardens, Restlawn Memorial Park and Ashland County Memorial Park. He married Jean A. (Broz) Boda on October 12, 1983 in Las Vegas, NV and she preceded him in death on July 14, 2001. 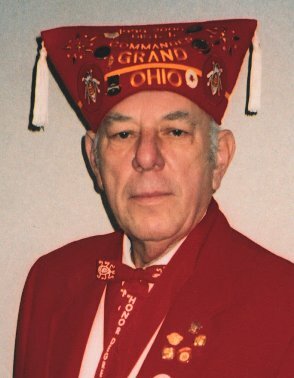 He was a Past Commander and Life member of the VFW; Past Commander of the Disabled American Veterans; Past Seam Squirrel and Past District Commander of the Military Order of Cootie; Life member of the American Veterans; member of the American Legion, Moose and Eagles. He was also a member of the Island 4 CB unit in Toledo. Mike loved vegetable gardening, cooking, baking, golfing and hunting. He enjoyed running casino trips to raise money for cancer funds for the VFW. Mike is survived by his son, John Michael (Joan) Lightner, Jefferson, OH; companion, Arlene Relnertsen, Port Clinton, OH; sisters, Margaret Nichols, Painesville, OH and Mary Ann Rogers, Perry, OH; grandchildren, Jessica (Justin) Brown, Buffalo, NY, Benjamin Lightner Great Lakes, IL and Shawn Lightner of Colorado Springs, CO and five great grandchildren. He was preceded in death by his parents; wife, Jean Boda Lightner and sister, Ann Korody. Visitation: Friday, September 21, 2018 from 10 am to 1 pm at Wonderly Horvath Hanes Funeral Home and Crematory, 425 E State St., Fremont, OH with the Service to follow at 1:00p.m. Memorials: American Cancer Society, the American Diabetes Association or Ohio Living Hospice. The Ottawa County Veterans Service Office Staff extend our sincere condolences to John in the recent loss of his father, Michael. Know that you are in our thoughts and prayers at this difficult time. We know that his passing will not only leave a void in your life, but in the hearts of all those who knew him. May you find comfort in knowing that as a veteran of our country’s Armed Forces, Michael gained distinction and earned the respect and gratitude of his fellow Americans through his bravery, heroism, and dedication to our country. May you Rest In Peace Mike. I will miss you and your trips! It was a pleasure to have Mike in our lives even tho it was for a short period of time. We loved visiting with him and sharing stories. He was a very special man and will be greatly missed by many.